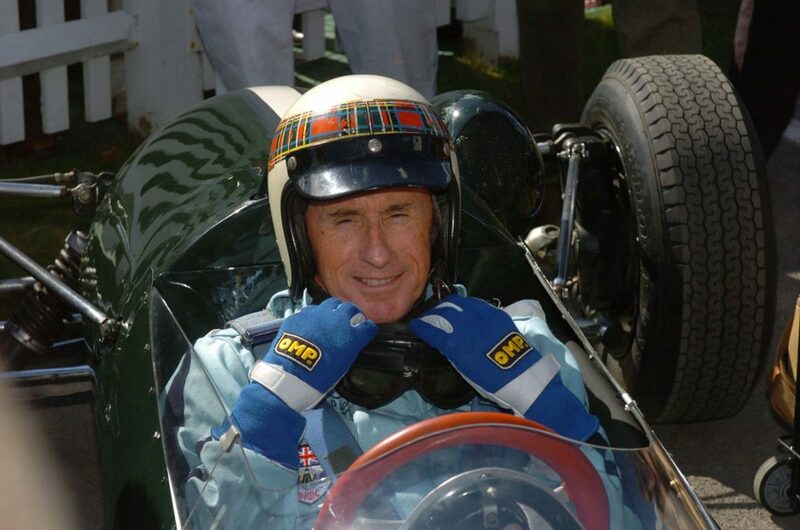 There’s no introduction that I could possibly write that would do the life and career of Jackie Stewart justice. He’s won it all. He’s driven it all. He’s been…everywhere. Owns only one pair of pants. He champions Dyslexia awareness. Made a film with Roman Polanski. Has been a brand ambassador for Rolex for, like, 40 years. 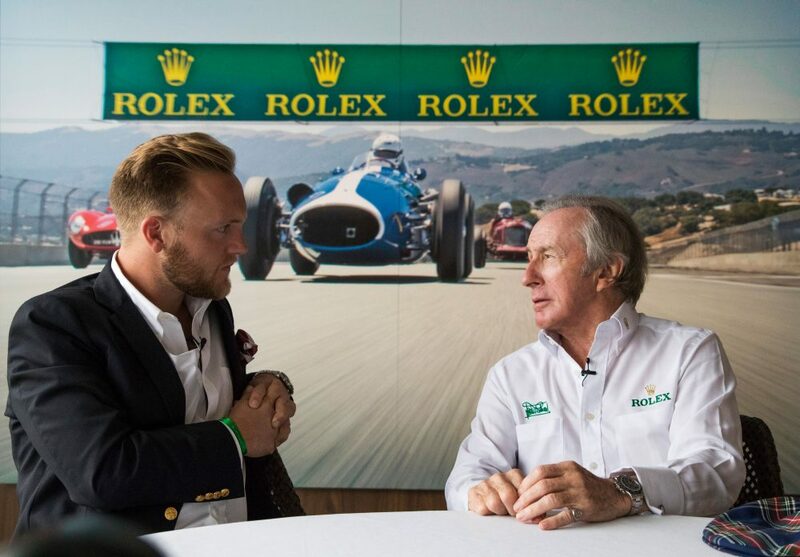 I’m incredibly honored and thankful that our friends at Rolex were able to set this conversation up, especially so last minute. The following is an almost unedited transcript I’ve put together for your enjoyment, if you have any questions on his pants or matching hat, feel free to jump into the comments below. 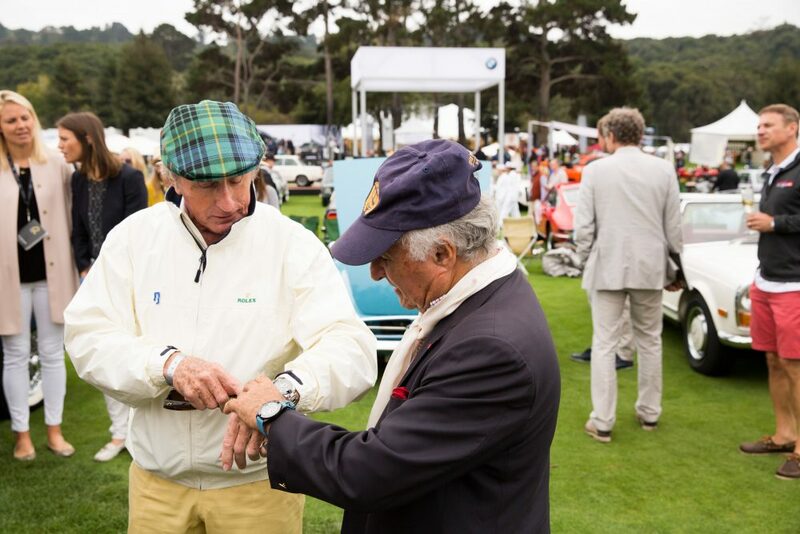 Ted Gushue: So, Sir Jackie Stewart, I’d like to ask you: what is the first car that you ever remember driving? 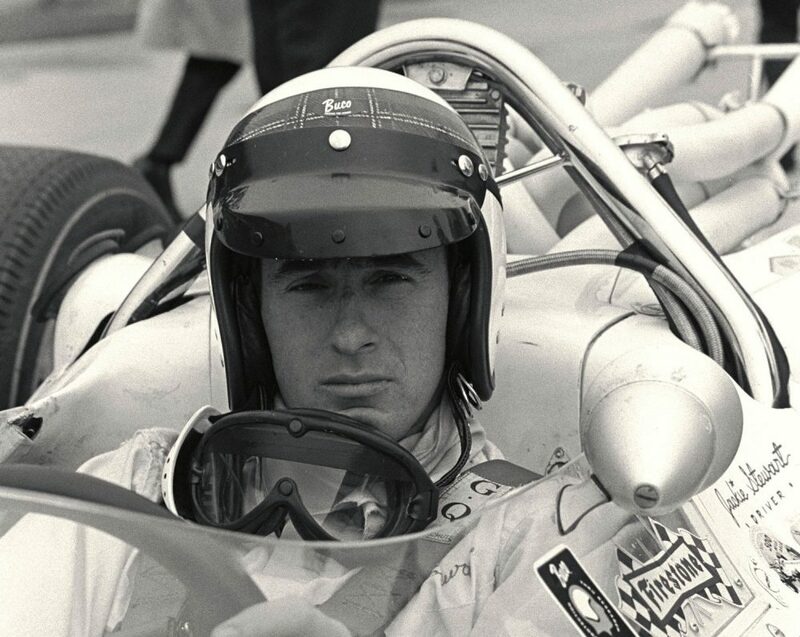 Jackie Stewart: Well, I remember it very clearly. I was nine years of age, and I was driving an Austin in my father’s garage. It was a very small area, but I drove this dark blue and black Austin 16. I had to sit on a 2 gallon petrol can in order to see over the hood, as you call it, or the bonnet as we call it. I used to go right around the petrol pumps, so at nine years of age that was my first car if you like. TG: Was driving it a rite of passage for you? JS: Well, it’s a strange thing. I never ever thought I was going to be a racing driver. I mean, I liked the idea of driving, like I think all young boys do. Because my father had a garage, as you call them, it meant that I was open to being able to get in and out of cars. I wasn’t allowed to drive the customers’ cars, but the cars that we had in the family, which we had a few of because we were Austin dealers. TG: When did you first start driving quickly? JS: Oh, when I got my driving license. I was 17 years of age, I was working in the garage serving petrol. I’m very dyslexic. I’m an extreme dyslexic, so I left school with little or no education, but I was good with my hands. I got into being a mechanic, so I served an apprenticeship to be a motor mechanic, which is a six year apprenticeship. You go to night school and so forth, and then you get your, what was called ‘City and Guild certificate’. You are journeyman, a mechanic. I went through all of that, so when I was driving a car, 17 it was, the age when I could do that. I had bought a little Austin A30, brand new, through tips that I’d got serving petrol and checking everybody’s tires, and cleaning windshields and so forth. Then I started wanting to drive fast, right from the very beginning. TG: What was the first track you drove on? JS: Oh, not for a very long time. I mean, I was driving on the roads. We had no speed limit in those days, but I remember driving from the garage to Stirling Castle, and I did it in 39 minutes. I had a guy sitting with me, my best friend John Lindsay sitting with me with a stopwatch, I did it in 39 minutes. I don’t think you can do it now, you know, with the congestion. My brother was a racing driver, however, but Jimmy Stewart was eight years older than me. He was actually a very good racing driver, he drove for Ecurie Ecosse, the Scottish team. He drove all over the world; Argentina, abroad, obviously European circuits, and then drove for the Works Jaguar team, and the Works Aston Martin team. I never thought I was going to be a racing driver, because I was a shooting man. From the age of 14 until 23, I was shooting for Scotland and then Great Britain. TG: You were on the national Olympic team, yes? JS: Yes, trap. Olympic trap. That was my life. Then I got married, when I was 23, and I couldn’t afford marriage and shooting because it was an amateur sport. Because I was a mechanic, I met a very rich young man from Glasgow whose family trust would not allow him to race. He was the only son, only child. Quite a big business, and they wouldn’t allow him to race but he liked nice cars. I was the mechanic, and in the end he gave me the opportunity to drive a Porsche, an AC Bristol, and then I think what is called a Marcos, which I drove quite a few races and won quite a few races with. TG: What was the first track you raced on? JS: The first track I raced on was called Charterhall on the borders of Scotland. Just right down at the very borders. Jim Clark was there, a whole lot of people, and I was of course in my class. It was 999-cc sports GT cars. The Marcos was a remarkable car in those days. It was made of laminated plywood, but was light and drove very well. Frank Costin was a famous designer in England, it was his baby. He created it. That was the beginning, really. TG: So once you start winning, how quickly did momentum build? Was it a swift rise? JS: Yeah. Like a rocket ship. I mean, I finished my shooting. I was shooting for Great Britain, and that year I won the British, the Irish, the Welsh, the German, the…no, not German. I was second in the German Grand Prix of shooting. I won the British Grand Prix of shooting that year, and I won the European and Mediterranean Grand Prix. Shooting at that time, I was doing it reasonably well. 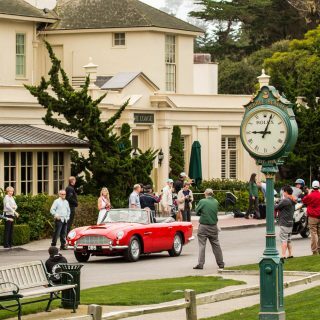 When the racing came along, because I was driving the Marcos and won, and I was driving an E-Type Jaguar a little bit and won club racing. David Murray of Ecurie Ecosse, the Scottish team, who was famous for bringing along drivers, spotted me and took me on. TG: Which car was that? JS: That was a Tojeiro. Tojeiro Buick, actually, and then a Tojeiro Ford. That was really when I started to go down south from Scotland down to race at Goodwood, at Silverstone, Oulton Park, Brands Hatch. All the well known race tracks, and Britain’s very rich on the number of race tracks. Snetterton and a whole lot of others. David Murray had me drive these cars, a Cooper Monaco as well, which was pretty fancy at that time. Again, I was spotted driving that car. 1964 was a long time ago. I drove that year 26 different racing cars in 53 races. It was just, like I said, a rocket ship. TG: When did you start to feel like there was some sort of celebrity around being a racing driver? JS: Well, once I started getting invited to drive for Ron Harris, team Lotus, Colin Chapman had me drive Lotus Cortinas. Then, Jaguar Cars had me drive a Lightweight E-Type for a man called John Coombs, who was the entrant, but the car was owned by Jaguar themselves. Then I got from Formula 3, where I won in Monte Carlo and I won the European Championship and the British Championship of Formula 3. That was in ’64. Suddenly, just from nowhere, I got into Formula 1. I was picked up, I got offers to drive for BRM, for Lotus, and for Cooper. I chose to drive for BRM. 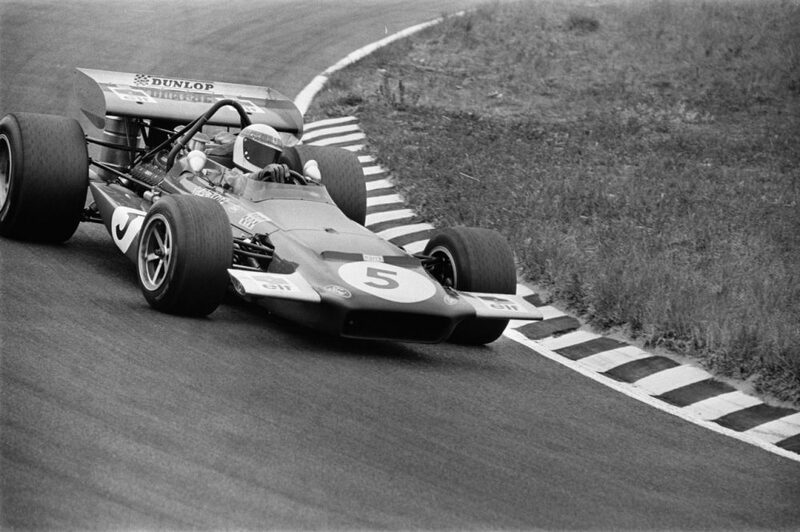 Graham Hill was the number 1 driver, I was the number 2 driver. That really opened the whole world out. TG: Was there any culture shock being immediately thrust onto the world stage like that? JS: Well, I think I was lucky because I had already reached a fairly high level in shooting. So I had been through the sort of mind management courses of that mentality. Shooting’s a very good metaphor for driving. If you miss the first target, you never get it back. If you make the littlest mistake in the first corner, it’s really tough to get it back. That happens in golf, in tennis, and in motor racing. I was lucky that I was very disciplined mentally, as a sportsman and a competitor, because I got used to mind management. Before you shot, before you had the first opportunity to shoot at a target, if you were uptight, nervous, there’s a very good chance you would just miss the target. When I drove racing cars, I had already passed through the uptight feeling. I was able to control that through my entire career, and I was lucky because I won most of my races in the first five laps, because I had already learned how to manage my emotions and not be affected by the big start, so to speak. TG: What was it like to be a rookie in the glory days of Formula 1? JS: Well, when I got into Formula 1 there was Graham Hill, there was Jim Clark, there was Phil Hill, there was Bruce McLaren, there was Jack Brabham. There was a great galaxy of very well respected drivers, so when you were the number two driver, you were the new boy on the block. Jochen Rindt came in around that time, Jacky Ickx came in around that time. It was kind of the halcyon years, in a way, of Grand Prix racing. Where everybody had to go through a real apprenticeship in Formula 1 before you saw them rising. At that time, I think was the time where there was the most really really good drivers. Whereas present day you’ve got two or three, in those days you had six or eight. 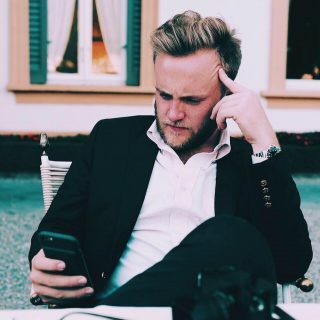 It made a big difference, and you learned a lot more. TG: What was the culture like around then? Was it a bit like a fraternity, in the American sense? TG: Did you ever receive that message? 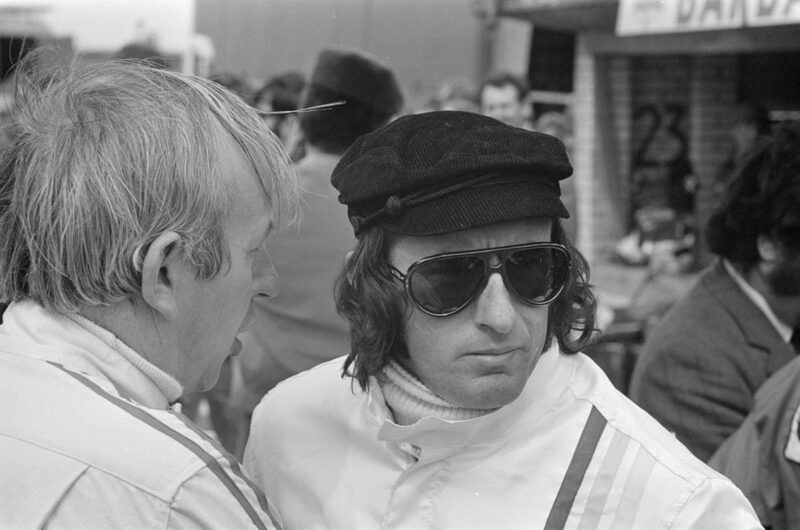 JS: Because you were being told from a high level, if somebody like Jack Brabham suddenly told you that you were being a naughty boy, then you were listening, and you were doing it in front of everybody else. TG: So you’ve been accused of being a naughty boy on the track, is that what you’re telling me? JS: No, I was lucky. I managed to get off with that. I don’t think I had an incident. I hardly had an accident, actually. I drove nice and slowly. TG: From that period, what cars do you miss the most? JS: I didn’t really miss much. Over the various periods, the BRM, which is up on that screen right there, right now, was a wonderful car. It wasn’t as fast as a lotus, but it was more robust. It was beautifully engineered. The Lotus, with Jim Clark, was the fastest car on the track. 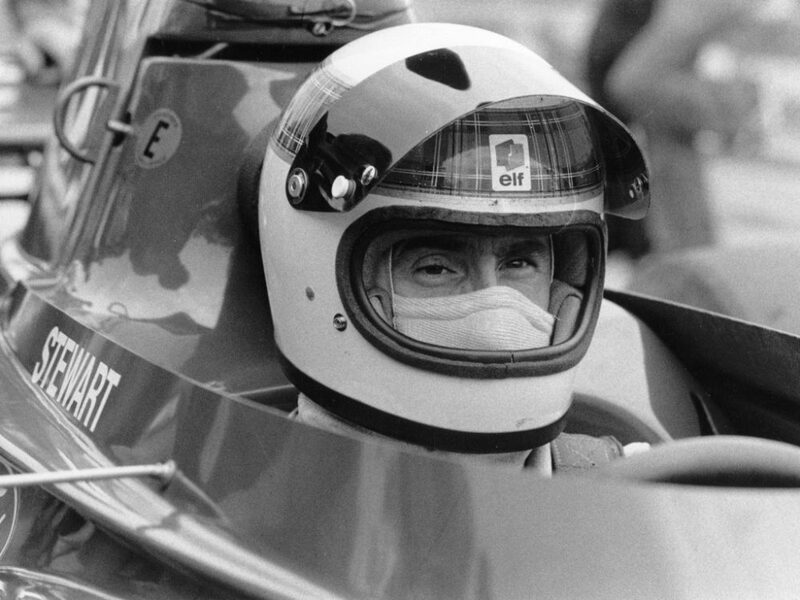 Jack Brabham came along… Well, he was in Coopers to begin with, and then he created his own car, the Brabham, and won the World Championship as a driver and a constructor. Nobody’s ever done that, and they won’t do it again. Nobody will do that. The Tyrrell came later on in my life, and just before the Tyrrel was a car called the Matra, with the Ford Cosworth engine. When Ford created the Cosworth engine along with Keith Duckworth and Mike Costin, that changed the world because almost everybody apart from Ferrari and BRM were racing with the same engine. There was great equality, and there wouldn’t have been 7 or 8 horsepower difference between any of the Cosworths. It was very well done. Beautiful company, really very good, and two great men. They really managed it, did the whole thing, designed it, built it, and so forth. The Matra was probably the best and easiest car I ever drove, with a Ford engine. That was in ’68, ’69. I won my first World Championship. Then the Tyrrells came along. Ken Tyrrell, who had found me and put me into single-seaters for the first time in ’64 with a Formula 3 car, he then created his own team. I was the number 1 driver from the very beginning, and with Matra he was running the Matra thing, and then built his own car. JS: These cars would be the ones that…the Matra was terrific. 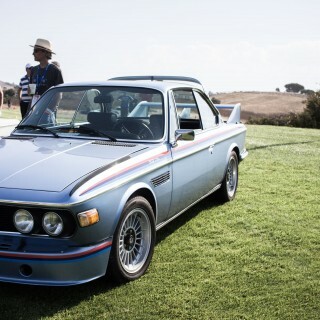 That’s the one I would say was maybe the nicest racing car I ever drove. TG: Last question: what’s in your collection today? JS: I’m not a car man. I’ve had a chauffeur, I’ve had a driver for 44 years. I don’t like congestion. I can work in a car, when I’m sitting in the back seat … I’ve got a Lexus at the moment, 600H, the big long wheel base? Quietest, best ride of any car. I tried all the other names, and this car was the best. Not for a driver, but for a passenger. JS: I’ve got a Range Rover, a long wheel base, which I love. I drive that more than anything else, but I don’t drive very much. JS: Yeah. I mean, most real enthusiasts of course are in love with their cars and the sport. In my period I loved the sport, of course I did, but I was never what I’d call a real car person. Lots of other people are absolute aficionados in every car brand and specification. I never was like that, but the exhilaration of driving a Formula 1 car, which was the ultimate at balance, creation, technology, and everything else. That was a pinnacle. You know, I drove Can Am cars, I drove IndyCars, I drove GT cars. I drove a Ferrari P4. Very unusual for a really good sports car to really handle really well. That was it. 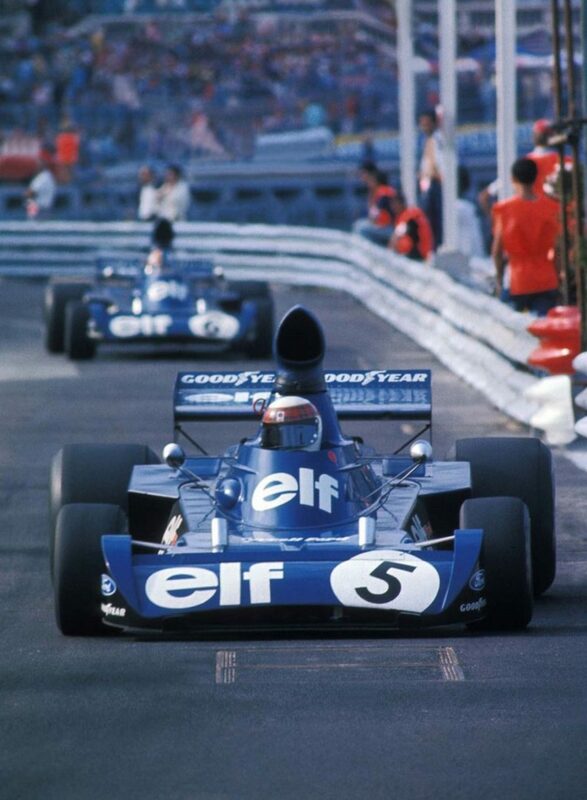 Between the Matra, the P4, and lots of other cars…Formula 2 cars were good to drive as well. I lived in a very, very good time. I was doing 53 races in a year. 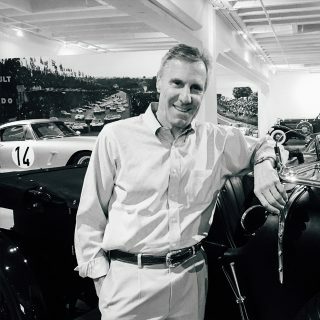 I crossed the Atlantic in 1971—I crossed the Atlantic 86 times [that year] driving Can Am, driving Formula 1, Touring cars, GT cars, doing ABC’s Wide World of Sports as well. Commercials for Ford and so forth. It was a crazy period, it was a crazy life at that time. Nicely done. What a fine man he is. Would be fascinating to hear his his take on F1 today. I’m lost with.. ‘its very unusual for a very good sports car to handle very well’ . .well, then whats the alternative ? Is that the equivalent to a very good watch that runs too fast ? I am addicted to play moviestarplanet which is very interesting game but now i am looking for the http://msphackcheat.com so that i could get free starcoins. 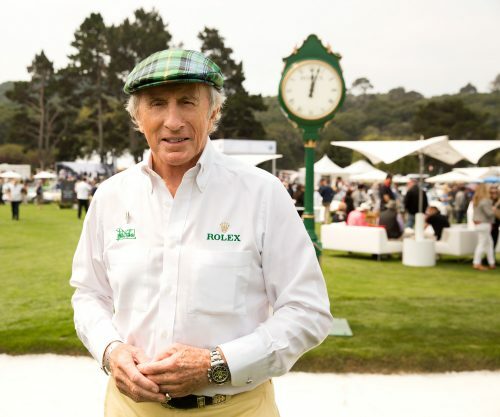 “Nice and slowly” means something kinda different when you’re Jackie Stewart. I got to see him drive a number of times at Watkins Glen. He was my hero. 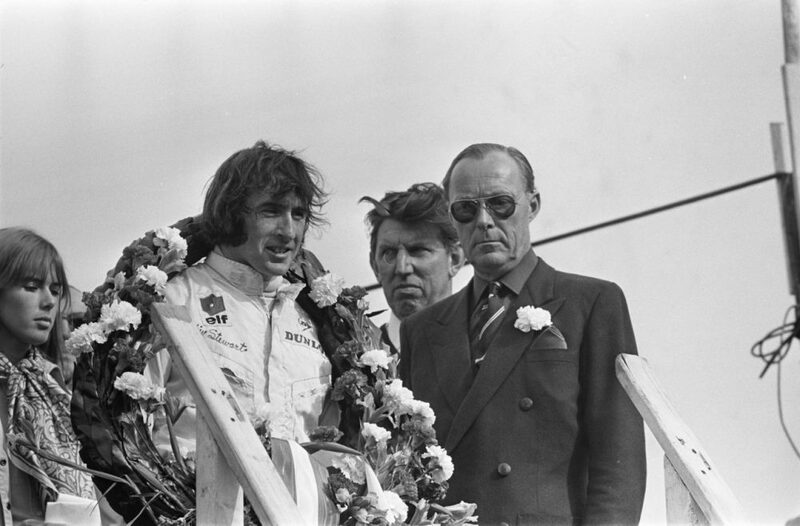 In fact I,unfortunately, got to see his last F-1 drive ever there in 1973. 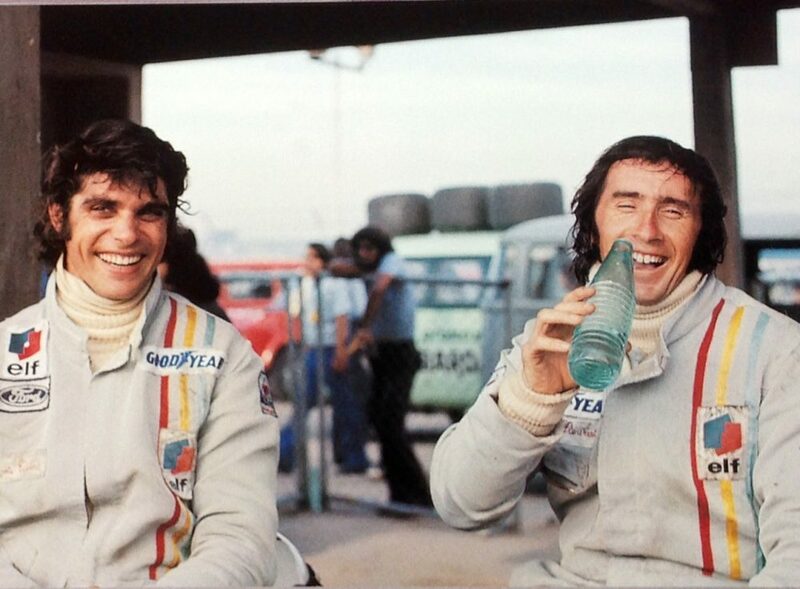 Even as a 10 year old I knew that was a sad day when we lost Francois Cevert. Thanks for giving us this cool little glimpse of the master in 2016. Not talked about in the interview, but Sir Jackie was also a big proponent of early driver safety and track safety changes . I have read and collected several books about him, true treasures I intend to pass along to any of my grand children who express an interest in motor racing. Good point. More than the wins and titles, that is arguably his greatest legacy. Enough said; a gentleman and an inspiration. I look forward to reading this interview later. Thanks for sharing. 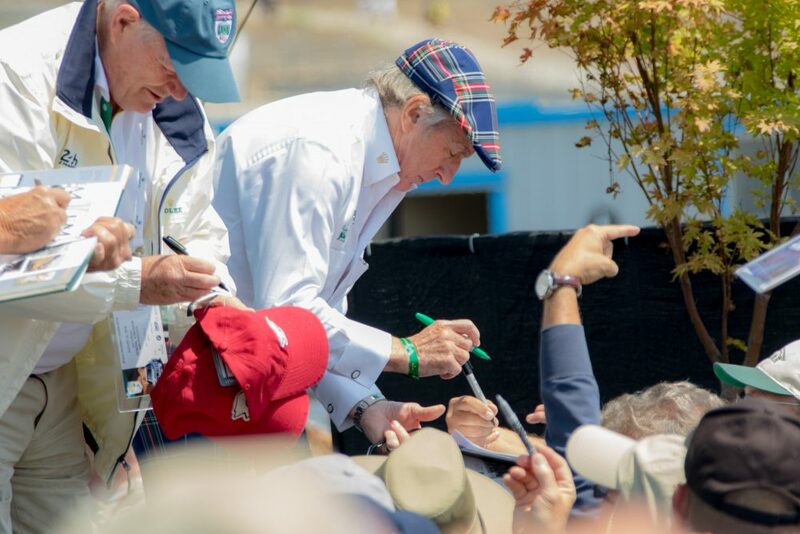 Jackie Stewart is a class act. He comes from a generation of drivers who were true gentlemen. They raced, they waved to their peers, they were not prima donnas or out-of-place ‘rock stars’. Those times are gone. What a fantastic interview. Sir Jackie has been a personal hero of mine since the 60’s. I know people who know him, but I have never met him myself. This was great. What an opportunity to sit and speak with him. Interesting to read about the relationship between the F1 drivers at the time. It seems that he really looked up to those who were in the sport before him. 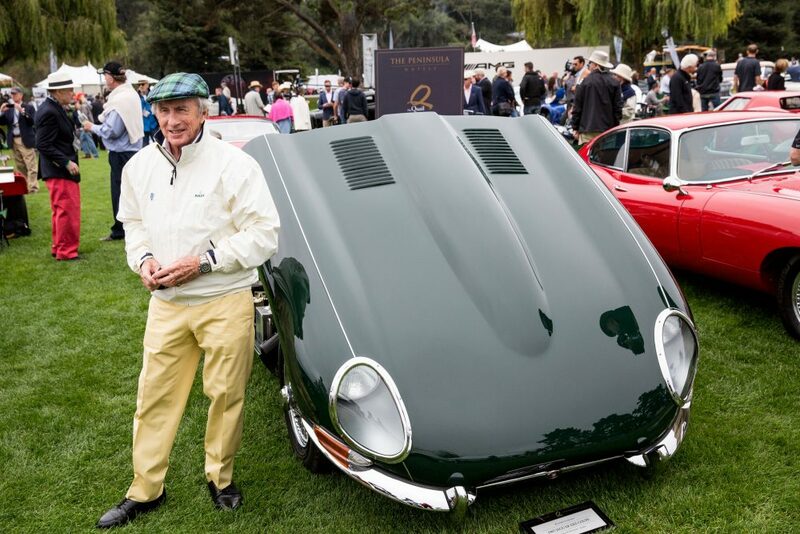 A personal highlight to meet Sir Jackie at The Quail last year.